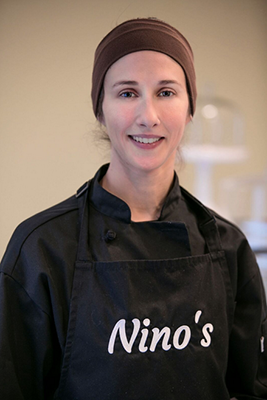 DC Resident, Yale Graduate’s Travels and Italian Rescue Dog Inspire New Coffee & Pastry Shop Washington, DC (July 2017) — Neighborhood Retail Group recently announced Nino’s Bakery will open at 1310 L Street, NW, Washington, DC in late fall 2017. Owner Miranda Rinaldi’s extensive travels with the Foreign Service allowed her to experience many cultures and their cuisines, but it wasn’t until she spent three years in Italy—where she rescued her dog, Nino—that her love of Italian pastry and coffee inspired her to open a bakery in her hometown of DC. “In Italy, Nino loved going into bakeries as most are pet-friendly establishments,” says Rinaldi. “After years of thinking about opening a bakery, I came back to DC from Italy and was working at the State Department and decided it was time to just go for it. I attended The French Pastry School in Chicago, IL and have been working to open Nino’s Bakery ever since.” Bethany Kazaba, Principal of Neighborhood Retail Group, represented the landlord in lease negotiations for Nino’s Bakery, which is located off the main lobby of a newly renovated class A office building and adjacent to its communal lounge. Inviting floor-to-ceiling windows and direct access to the street and lobby were important for Rinaldi to establish a true connection with the building’s tenants. Bethany Kazaba, Principal of Neighborhood Retail Group, represented the landlord in lease negotiations for Nino’s Bakery, which is located off the main lobby of a newly renovated class A office building and adjacent to its communal lounge. Inviting floor-to-ceiling windows and direct access to the street and lobby were important for Rinaldi to establish a true connection with the building’s tenants. Working with GTM Architects on the design and buildout, Nino’s Bakery will boast a bright and cheery interior. Traditional white-trimmed woodwork, early 20th century industrial style pendant lights and vintage brass pastry displays will be juxtaposed with sleek black granite tops, portions of exposed ceiling and a “weathered” concrete floor finish, says Traci Weems, GTM Architects’ Senior Project Manager. 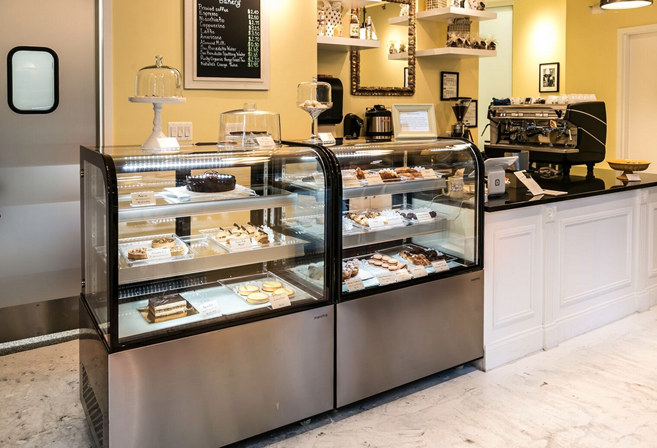 Half of the bakery is dedicated to the kitchen area—as all pastries and food items are made fresh daily by hand and onsite—with the other half offering display cases and a few stand-up café tables and stools perfect for relaxing and people watching. Everything at Nino’s Bakery will be handmade—no commercial mixes or products pre-made by suppliers. Menu items will include a combination of Italian and French pastries along with a mix of seasonal varieties including fruit-based pastry. Menus will also change for each holiday as Nino’s plans to serve walk-in patrons as well as offer assorted platters for corporate catering. For more information on Nino’s Bakery, visit www.ninosbakerydc.com. Group Neighborhood Retail Group (NRG) is a distinguished real estate industry leader with specific experience in retail properties throughout the DC metropolitan area. Principal Bethany Kazaba brings her talent and expertise to a company focused solely on servicing the unique demands of the retail sector. From development and management to marketing and branding, the dedicated real estate professionals at NRG know what it takes to generate success for your business. For more information, visit www.neighborhoodretail.com.